Our inaugural SPCA Benefit Auction is paired with a What’s Your Treasure? evaluation event benefitting our neighbor, the SPCA Thrift Store. This is a complimentary event hosted by the SPCA in partnership with Witherell’s, who will be providing complimentary evaluations to the first 50 people on June 5th between 5 and 8 p.m. at the Annex, located at1925 C Street. In addition Brian Witherell will provide a brief presentation, An Insiders Guide to Buying and Selling in the Internet Age. Evaluations are first come first served and limited to 1 item per person. 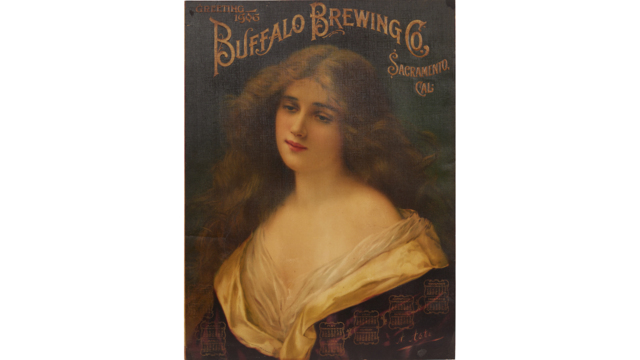 The auction, which is entirely comprised of SPCA donations, features a scarce 1906 Buffalo Brewing calendar, believed to be the third known example. The auction estimate is $1,000-2,500.